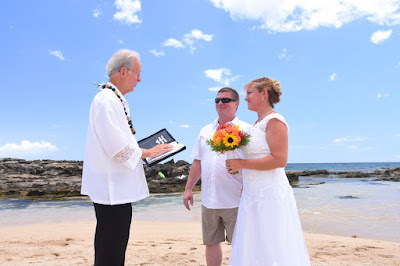 Australian Groom and American Bride get married at Paradise Cove Beach with Rev. Bob officiating. 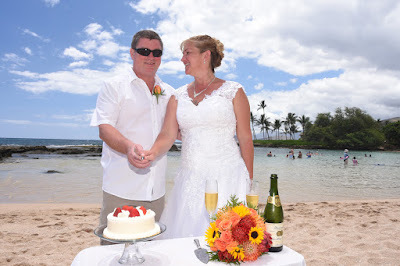 Liven up the wedding with some delicious strawberry shortcake, served on the beach by Bridal Dream Hawaii. 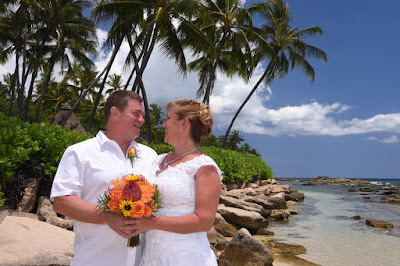 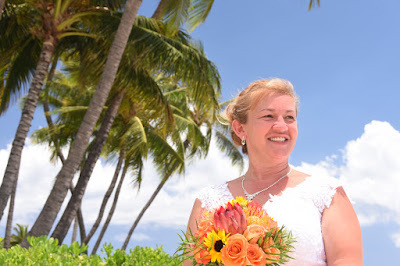 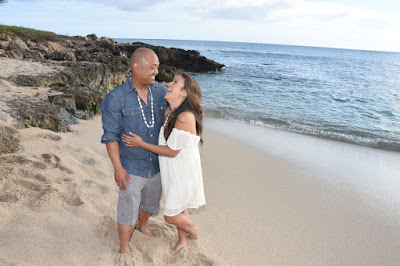 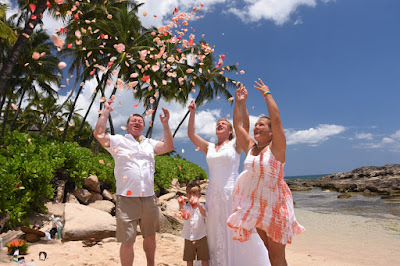 Beau and Debbie return to Bridal Dream Hawaii again for some family photos. See their 2013 Vow Renewal.